When it comes to colors, the sky is the limit! 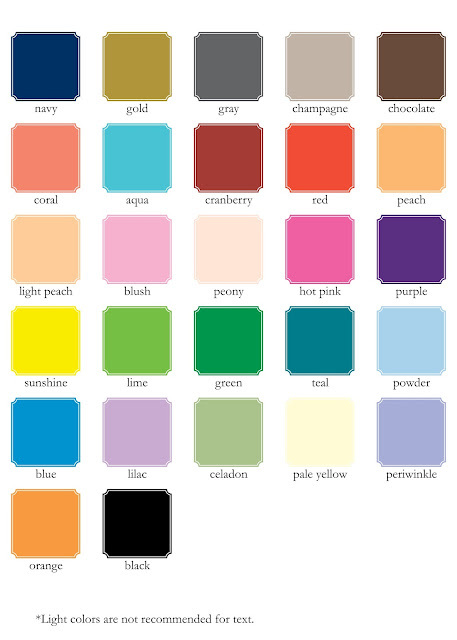 We've taken our most popular colors and included them for our print options (shown below). With our thermography printing, we also have a beautiful metallic gold and a metallic silver available. One of the questions we are often asked is about printing custom colors and I am delighted to say it is no problem at all. 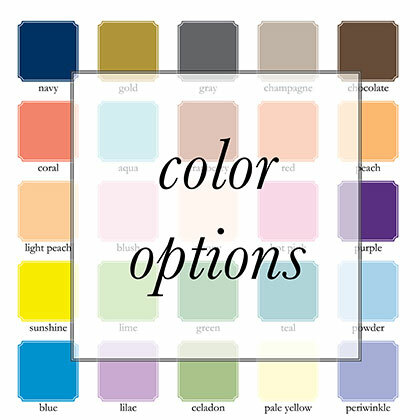 With thermography printing, we would need the coated pantone color of choice for custom color printing. With digital/flat printing, we would need your cmyk information for custom color printing. Looking for a specific color you don't see on our list? Don't hesitate to ask. 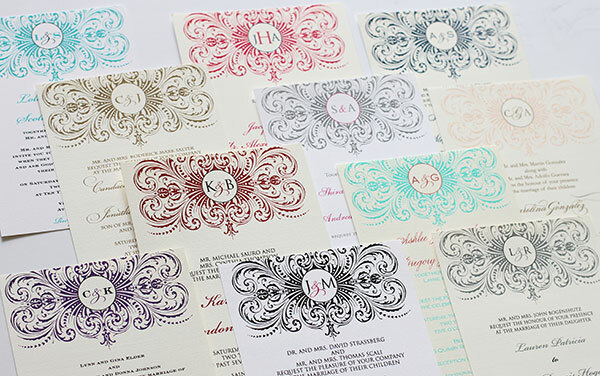 We are here to create the perfect invitation suite for you!